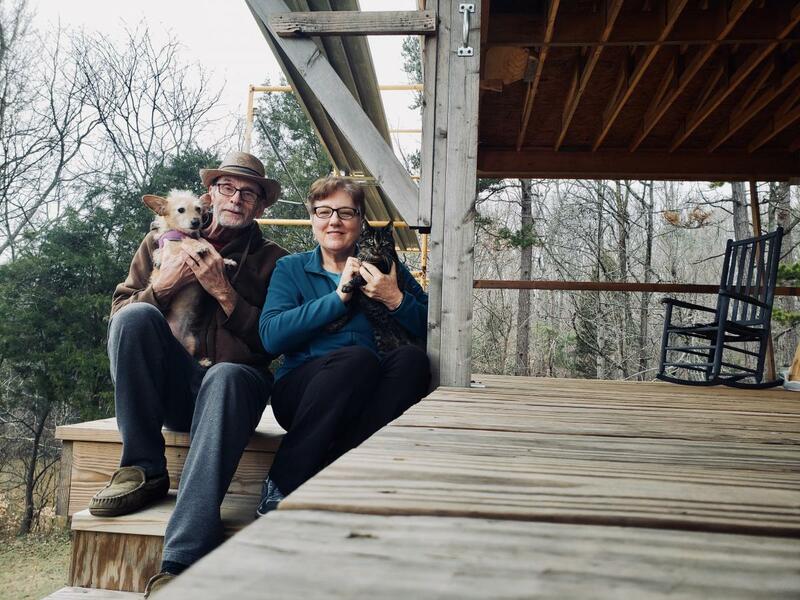 Tom Dinwiddie, 69, was featured in the Journal of Gastrointestinal Cancer four years ago for having survived 30 months past an end-stage cancer diagnosis. He’s now lived nearly six years with no evidence of recurrent or metastatic disease. 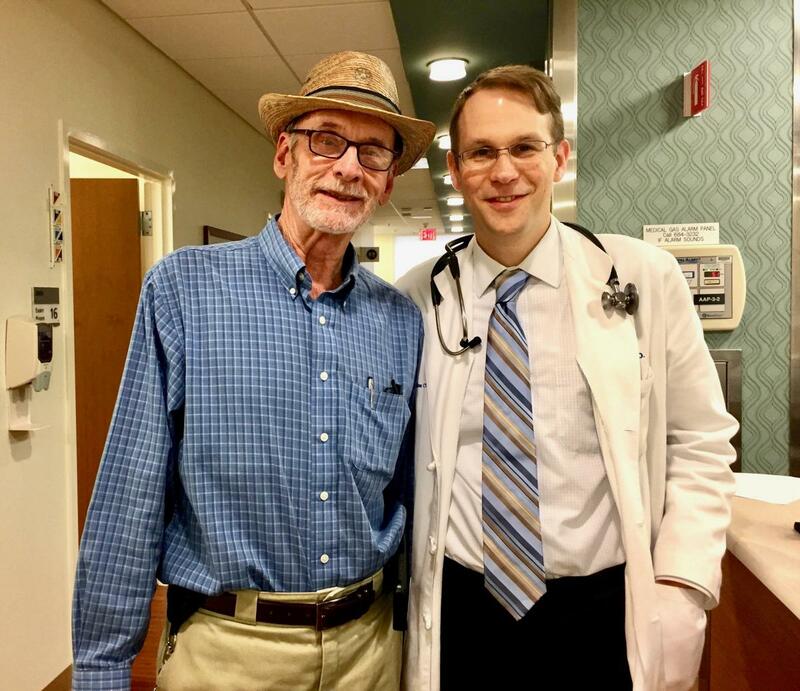 Just after Thanksgiving last year, he made a special trip to Duke Cancer Center to share how his physician John Strickler, MD, the senior author of the article, “cured” him and why Dinwiddie feels it’s his “moral obligation” to get the word out. On April 2, 2012, Dinwiddie’s local gastroenterologist in High Point, North Carolina, diagnosed him with metastatic stage 4 poorly differentiated neuroendocrine carcinoma of the pancreas. A CT scan had revealed a 5-centimeter mass in the head of his pancreas and multiple tumors in his liver. A biopsy had confirmed it was cancer. His gastroenterologist said nothing could be done and he only had a couple months to live. He was offered referrals to MD Anderson, The Moffitt Center and Duke Cancer Institute. Duke gastrointestinal oncologist Strickler stepped up to take on Dinwiddie’s case. Six weeks after the initial CT scan, a staging PET-CT scan showed rapid growth of the tumor in his pancreas to 6.4 centimeters and a near doubling of his largest liver lesion to 6.3 centimeters. It didn’t look good. Strickler ran Dinwiddie’s case by the tumor board. The consensus was that cure was not an option, and that the focus should be on managing symptoms. So, Strickler decided to try something a bit different — dose-modified FOLFIRINOX administered on days one and 15 of each 28-day cycle. FOLFIRINOX is a combination of 5-fluorouracil (5FU), oxaliplatin (which is similar tocisplatin), and irinotecan. He told Dinwiddie that that specific aggressive drug combination is frequently used to treat a more common type of pancreatic cancer (adenocarcinoma, which forms in the exocrine cells that produce enzymes to support digestion) — not standard for his kind of cancer — but it had been shown to kill cancer when cells are dividing. Dinwiddie’s cancer cells were in a state of near constant division. “He called it a Hail Mary pass,” said Dinwiddie. Within a week, the swelling (edema) in his legs and feet went down and his energy level improved. After two months, CT scans revealed a partial response to treatment. The mass in his pancreas was reduced more than 70 percent, and all measurable liver lesions were also smaller. Over the course of the next eight months, Dinwiddie received FOLFIRINOX, which he tolerated well. Then he had another CT. His primary pancreatic mass had shrunk to 1.4 centimeters and his multiple liver metastases had each decreased to under a centimeter. On January 23, 2013, Dinwiddie underwent a pylorus preserving pancreaticoduodenectomy — also known as the Whipple procedure — as well as a right hepatectomy (the removal of the cancerous portion of the liver). He recovered quickly, walking 50 laps around the halls of the ward soon after surgery. “On January 24, I declared myself cured,” said Dinwiddie. Pathology following surgery showed that he’d had a near-complete response to the FOLFIRINOX. There was a 2-millimeter focus of residual cancer cells in the removed pancreas tissue and rare microscopic foci of metastatic disease within the removed liver tissue. The margins were negative and there were no lymph node metastases. Strickler said it isn’t feasible to conduct a large randomized clinical trial of FOLFIRINOX for this “extremely rare patient population” that represents only around six percent of the 55,000 cases of pancreas cancer diagnosed annually. Dinwiddie counts himself as fortunate to have survived a cancer that took the lives, most famously, of Steve Jobs and Aretha Franklin. Once he was a survivor, he started volunteering with Pancreatic Cancer Action network (PANCAN) as a voice of reassurance to the newly diagnosed. Today, Dinwiddie said, it’s as if he was never sick, except for the Creon pills he has to take with each meal. (They act as a substitute for the digestive enzymes that what’s-left-of-his-pancreas doesn’t produce). He’s still able to enjoy his favorite meal of pinto beans, greens and cornbread. Surviving cancer didn’t change how he lives day-to-day. 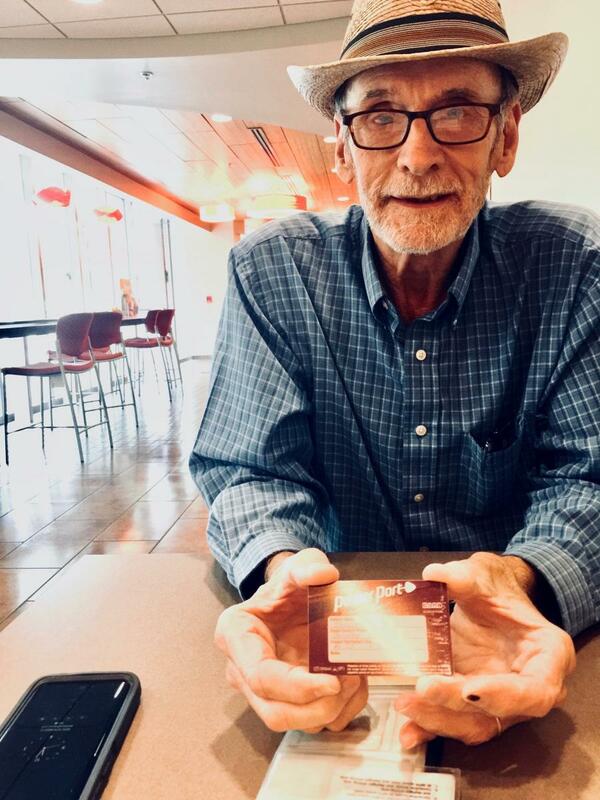 The auto business retiree said he just wants “more of the same,” which includes fixing friends’ vintage Mercedes vehicles gratis and making home improvements. Dinwiddie pulls out the chemotherapy port I.D. card he still carries in his wallet as a reminder of what he went through. He points out the date — May 16, 2012 — when his port was put in and his first chemotherapy treatment was administered. The port’s been out since 2013. He gives thanks to science for his good health. According to NCI, the prognosis and treatment options for pancreas neuroendocrine carcinoma (PNETs) depend on whether the cancer has spread beyond the pancreas, whether the patient has MEN1 syndrome, the patient’s age and general health, and whether the cancer is newly diagnosed or has recurred.